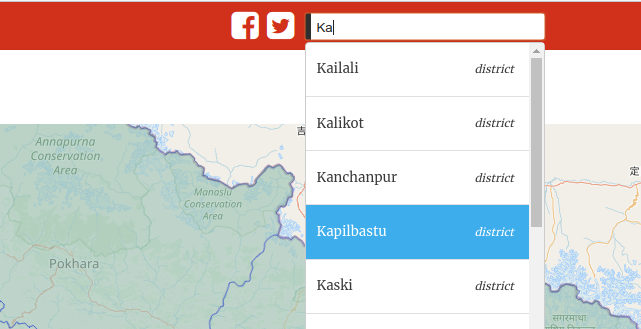 Use keywords to search NepalMap for data, then choose a place or places to view your data. Whether you live in Morang or Mahottari, find out how many people in your district have passed School Leaving Certificate (SLC), or how many people still use wood to cook food. Data is broken down by category: Demographics, education. Our library of charts gives you insight into data from the places you search. Look for them on profile pages. You can also embed the charts on your own site. Type in the name of the district. Then select the location you are interested in from the dropdown. Alternatively, click on the map area you want to go to. The + and - buttons zoom in an out. Statistics are broken down into categories. Find a key figure for a sub-category on the left. Hover over graphs to see comparisons with the district and country averages. NepalMap uses data from Central Bureau of Statistics, and other official sources, to create user-friendly data visualizations on key demographic issues. You can embed, access or download the data too. You can also compare any two areas side-by-side. NepalMap is a project of Code for Nepal, a non-profit that works to increase digital literacy and the use of open data in Nepal. Please make a tax deductible donation to help us maintain the server space for NepalMap, and empower Nepal digitally! Code for Nepal's co-founder, Ravi Kumar, is grateful to all the volunteers who contributed to NepalMap! Code for Nepal is especially grateful to Clifton McIntosh, for serving as the lead developer for this project. And to Code for Nepal’s Amit Chaudhary. Yes! 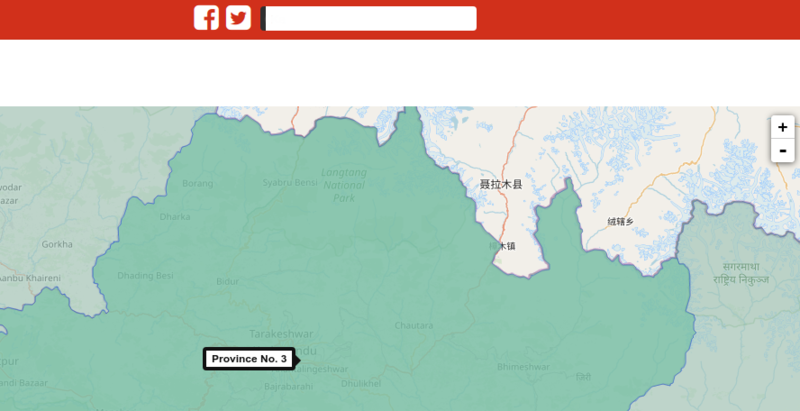 NepalMap is based on Wazimap which is a fork of Census Reporter. Wazimap is built and maintained by Code for South Africa. Other implementations include Wazimap Kenya and Wazimap South Africa, the first Wazimap implementation. All of these tools are completely open source. You can build one for your country. NepalMap code is licensed under the MIT License. NepalMap branding is copyright of Code for Nepal and cannot be used without permission. We are looking for volunteers who can help us add more data, and improve NepalMap. If you have the right skills, and would like to help, please complete this form!